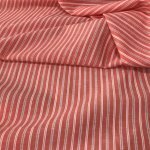 This stripe has a small sheer white stripe spaced at approx. 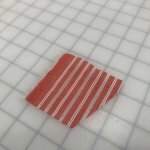 3/4” intervals - every other stripe is small white double line. 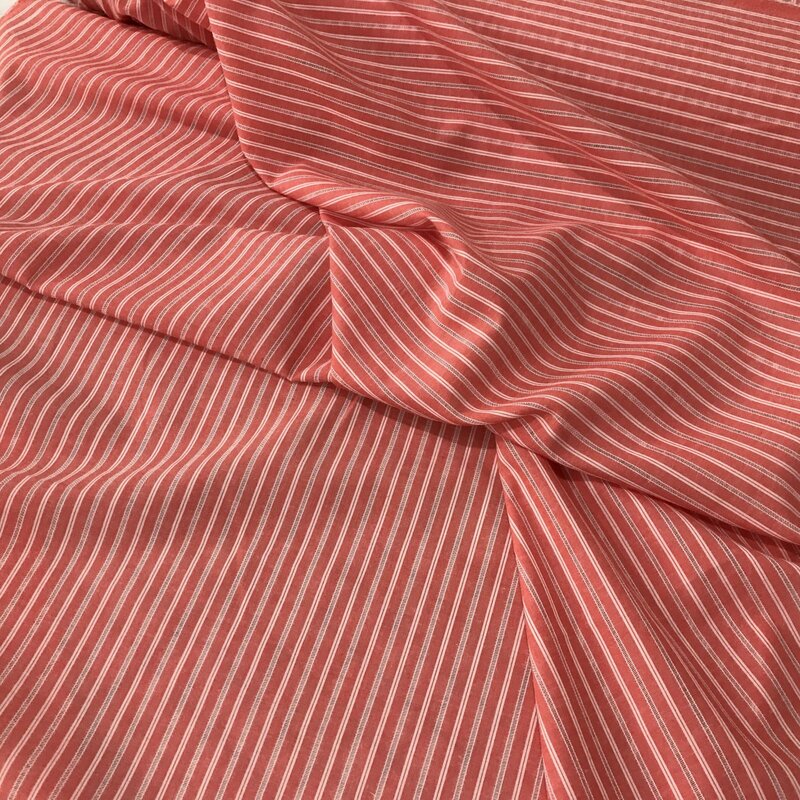 We have this fabric in three colorways - Blue, Black, Red. 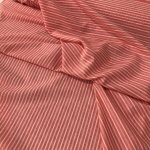 This is soft and drapes well - great for a button up shirt, Shirt dress, or even a wrap dress to create visual fun. Pick one or all of these colors in this quality fabric.